AREA Chicago was a publication about Art/Research/Education/Activism in Chicago that I founded and edited from 2005-2010 (the publication lasted until 2015 under new leadership). For a summary of my time at AREA see these articles from the Chicago Reader, Timeout Chicago, these interviews from the Transductores: Art and Spatial Politics catalog and The Morning News, plus essays I wrote for the book In The Middle of a Whirlwind book and website, for the Art21 blog, and for a spanish journal called Pedagogic Notebook. I also consistently gave lectures about AREA and here are a few that were videotaped in Los Angeles, Baltimore, and Granada. For further information on AREA’s work visit https://areachicagoarchive.wordpress.com/ or download a pdf of Issue #7 here. In addition to editing and general organizational management, I focused my energy on organizing the Notes for a People’s Atlas art project and the Infrastructure Lecture Series for AREA Chicago in various locations (2005-2010). The series included presentations on various conceptions of grassroots infrastructures by curator Nato Thompson (November 2005 at Mess Hall); artist and food activist Claire Pentecost (May 2006 at ACME Arts); cybernetics researcher and open-source activist Xabier Barandiaran (June 2006 at Polvo Gallery); anti-poverty activist and community land trust organizer James Tracy (October 2006 at In These Times); a discussion about the theory of Participatory Economics with Michael Albert (November 2007 at the Hull House Museum); and a Welcome to Chicago Event for the Alternative Press Centre (October 2008). AREA was included in two major traveling exhibitions, Experimental Geography and Transductores (who have compiled some Spanish language research on AREA here and in the documentation below). The art education organization Stockyard Institute brought me on to co-curate their Pedagogical Factory exhibition at the Hyde Park Art Center in 2007. The exhibit featured work by The Center for Urban Pedagogy (New York), rum46 (Denmark), Think Tank (Philadelphia), Artlink (UK), Journal of Ordinary Thought (Chicago), Counter Cartography Collective, Josh MacPhee of Justseeds, and AREA Chicago among others. In addition, I served as the liaison to AREA Chicago and coordinated a massive event series on behalf of AREA throughout the duration of the Pedagogical Factory exhibit. The series was called How We Learn and was conceived in coordination with the development of a publication by AREA on the same themes (see AREA #5 online). Events included How We Remember,How We (and also I) Make and Tell Stories About What We Do, How We Move, How We Grow, How We Use Abandoned Urban Space, and How We Make A Disorientation Guide To Our University, among others. The event series included presentations by Andrew Gryf Paterson, Josh MacPhee, Feel Tank Chicago, Waite White, Chicagoland Bike Mechanic Orgs, Chicago Underground Library, Mess Hall, Platypus, Free Geek, Chicagoland/Calumet Underground Railroad Efforts, Bronzeville Historical Society, Chicago Women’s Health Center, The Odyssey Project, Stephen Haymes, Meredith Haggerty, Lavie Raven, Dave Pabellon, Baltimore Development Cooperative (Scott Berzofsky, Dane Nester, and Nicholas Wisniewski), Jesse Seay, Lou Mallozzi, Christina Kubisch Daniel, Kunle/Holger Lauinger, John Dewey, Charlie Vinz, Material Exchange, Nance Klehm, Vocalo.org Producers, Anne Elizabeth Moore, Counter Cartography Collective, and Kristen Cox for Fire This Time Fund. See video on the entire project by Stockyard Institute or listen to the kickoff event on WBEZ. Notes for a People’s Atlas is a multi-city community mapping project that started in Chicago in 2005 and has since expanded to a number of cities ranging from Zagreb (Croatia) to Greencastle, Indiana (USA). The project was initiated by AREA Chicago, a magazine about art, research, education and activism in Chicago. The book and website document this project by presenting the maps collected in each city along with commentary by leading thinkers dealing with art, urban space, cartography and definitions of place. Published by AREA Chicago (2011). See the project website here. Trashing the Neoliberal City: Autonomous Cultural Practices in Chicago from 2000-2005, was a publication edited by Daniel Tucker and Emily Forman (Publisher: Learning Site, 2006) and developed on a residency in Copenhagen sponsored by Learning Site. The publication featured contributions by Ava Bromberg, Rachel Caidor, Emily Forman, Dara Greenwald, Nicolas Lampert, Pauline Lipman, Josh MacPhee, Micah Maidenberg, Laurie Palmer, the Pink Bloque, Laurie Jo Reynolds, and Daniel Tucker. Design by Dakota Brown and Daniel Tucker. More details and complete pdf download here. 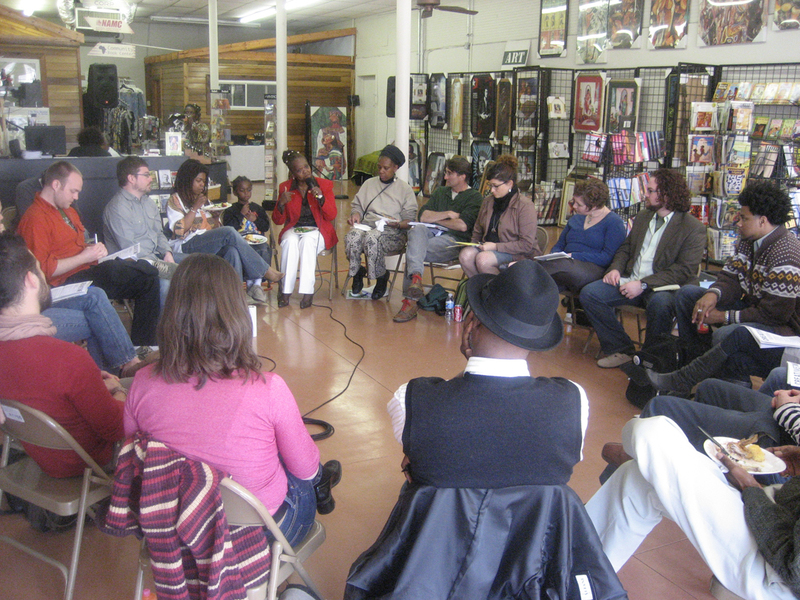 The National Alliance for Media Arts and Culture brought me in to organize a track on the intersections of activism with media and art for their biannual NAMAC Conference in Austin, Texas (2007). Included lectures by Sharon Strover (UT), Joshua Levy (Personal Democracy), Carol Pierson (NFCB), Tracy Van Slyke (Media Consortium) Jennifer Flores Sternad (UCLA), Fred Lonidier (UCSD), Alex Halkin (Chiapas Media Project), Kathleen Tyner (UT), Deborah Leveranz (SWAMP), Rhea Mokund (ListenUp), Cynthia Carrion (MNN Youth Channel), Kyle Harris (Free Speech TV), Anne Elizabeth Moore (Punk Planet), Franklin López (Submedia.tv), Sandra de la Loza (Pocho Research Society), Martha Norkunas (UT), Nicolas Lampert (Justseeds), Ryan Griffis (UIUC), Damon Rich (Center for Urban Pedagogy), Julie Ardery (Daily Yonder), Lisa McWilliams (Mobile Film School). Energy Plans (2008) was a public art project at the Nature Museum in Chicago by the San Francisco based art collective Futurefarmers. For this effort I worked as producer and facilitator and liaison with venue and artists; developed partnerships with youth organizations for workshop from the Chicago Park District TRACE program; documented the events; and developed an outreach strategy to a mix of local press, co-sponsoring organizations and relevant grassroots artist and activists. ENERGY PLANS was part of the Brushfire Project. BrushFire is supported by the CrossCurrents Foundation. Town Hall Talks was a project developed for Creative Time in 2008 as part of the Democracy In America series (organized with Nato Thompson). The goal of this project was to survey the landscape of socially and politically engaged art across the country, provide a snapshot local art practices that are difficult to see and understand from the outside and offer a comparrison between disparate yet related contexts. It consisted of group interviews conducted with 100 cultural producers in five cities across the country sited in significant hubs of local activity. The results were published in a web archive and in the book A Guide To Democracy In America (Creative Time Books, 2008) and exhibited as an audio installation at the Park Avenue Armory. 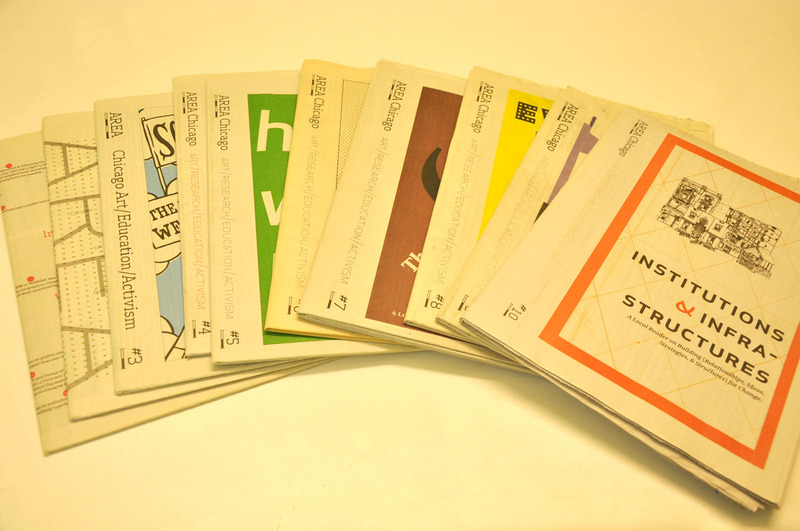 Local publications from each city including the Journal of Aesthetics and Protest, The Indypendent Reader, and AREA Chicago all published excerpts from the local interviews. [New York City – at Not An Alternative gallery] Ayreen Anastas, Maria Juliana Byck, Kevin Caplicki, Stephen Duncombe, Beka Economopoulos, Steven Englander, Jason Jones, Malav Kanuga, Carin Kuoni, Josh MacPhee, Ann Messner, Jeff Stark, Christina Ray, Prerana Reddy, Greg Sholette. *A more in-depth Chicago version is presented here under the name “5 Questions about Art in Chicago”. We Want More was a collaboratively organized political art retreat held in Chicago in 2009 with participants from across the country. The gathering was organized by Rozalinda Borcila, Daniel Tucker, Robin Hewlett, Nicolas Lampert, Abby Satinsky, with additional organizing help by Michael Thomas, Nato Thompson, and Rachel Wallis. See a list of some of the participants here, see the meeting agenda here, and some photos of notes here. FTN was blog and a book released in 2010. Published by Chronicle Books (December, 2010). Buy it here from the publisher or check indiebound for your local independent bookstore. Watch the trailer here. About the book: We want to change the way the food system works! 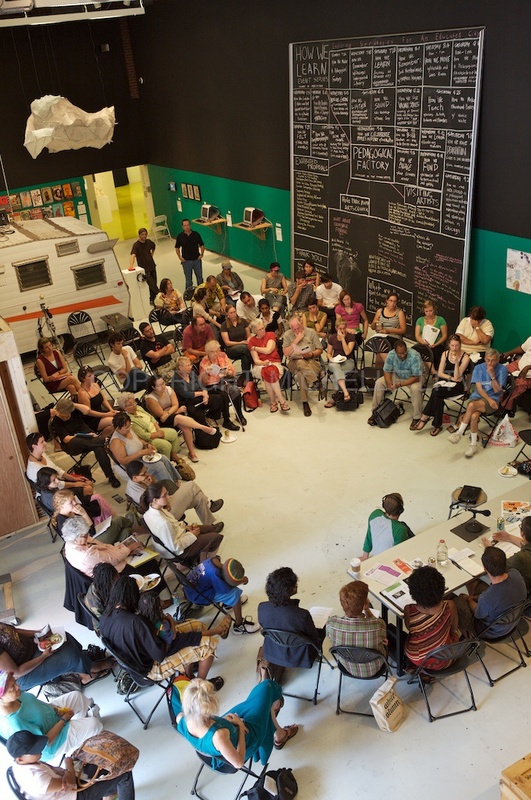 Farm Together Now meets with people across the country who are challenging the conventions of industrialized farming and exclusive green economies. Picked by Michael Pollan as his favorite food book of 2010, this part-travelogue, part-oral history, part-creative exploration of food politics will introduce readers to twenty groups working in agriculture and sustainable food production in the U.S. Throughout 2009 the authors visited twenty farms from coast to coast, talking to farmers about their engagement in sustainable food production, public policy and community organizing efforts. Interviews and photo essays with each farm/garden/project illustrate the inspiring histories, unique characters and everyday struggles of life on these farms. It is through sharing diverse voices from the contemporary farm that this book will inspire and cultivate a new wave of agrarians. Half of the author’s profits will be put into a fund to encourage like-minded documentary projects. See reviews from authors Raj Patel, Rebecca Solnitt, Vandana Shiva, Sandor Katz and blogs Real Food for All, Beyond The Plate, Treehugger, Grist, Farmbrarian, Bookslut, Chicago Reader and others here. FTN features interviews with City Slicker Farms (Oakland, CA); Freewheelin’ Farm (Santa Cruz, CA); South Central Farmers Feeding Families (Los Angeles and Bakersfield, CA); Tryon Life Community Farm (Portland, OR); Native Seeds/SEARCH (Patagonia, AZ); Acequiahood of San Luis People’s Ditch/Acequia Institute (San Luis, CO); Georgia Citizens Coalition on Hunger (Atlanta, GA); Mountain Gardens (Burnsville, NC); Jim Knopik (Fullerton, NE); Sandhill Farm (Northeast, MO);AquaRanch (Flanagan, IL); Angelic Organics Learning Center (Caledonia, Rockford and Chicago, IL); Joel Greeno/Family Farm Defenders (Kendall, WI); On The Fly Farms and God’s Gang (Union Pier, MI and Chicago, IL); Participation Park/Baltimore Development Cooperative (Baltimore, MD); Anarchy Apiaries (Hudson Valley, NY); Wild Hive Farm/Cafe/Bakery (Clinton Corners, NY); Nuestras Raices (Holyoke, MA); and Diggers’ Mirth Collective Farm/Intervale Center (Burlington, VT). 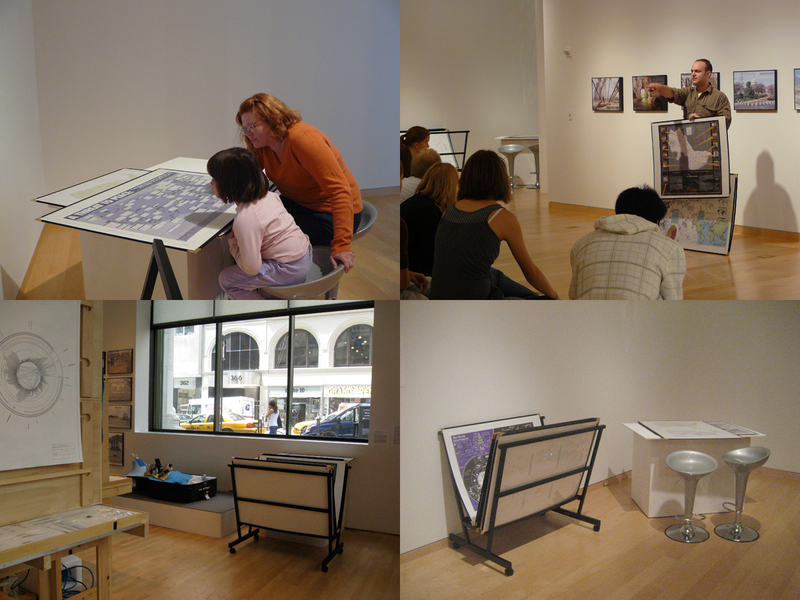 For over ten years I collected activist maps and contributed them to various exhibitions including Mapping2 (Mess Hall, Chicago, 2004) and Experimental Geography (various locations, 2008-2011). The archive has since been donated to the Newberry Library. See the project website here. Starting in January of 2010 I was brought on by the University of California Institute for Research in the Arts to develop a communications platform to expand and enhance their work. The UCIRA had historically been a grant-making agency for artists across the UC system and they were in the process of rethinking their organizational scope and mission. That Spring I traveled across the state and interviewed 50 faculty, staff and graduate students to discuss the state of the arts in the context of the educational budget cuts and tuition hikes and to get their impressions about the potential for a system-wide arts publication. The outcome of that custom-designed research and interview process was the SOTA/State of the Arts blog, which is ongoing and maintained by the UCIRA. I edited and produced content for SOTA for over a year before handing it over to the staff of the organization. In addition to the development of this online publication, I was involved in setting up and maintaining social-media for the organization (YouTube, Twitter and Facebook), facilitating a board retreat and internal organizational restructuring, producing a communications audit, authoring a strategic plan with input from all staff and co-directors and documenting a system-wide arts conference. My work for the UCIRA was completed in the Summer of 2011. Paper Trail, 2009 (installation view). A number of my projects have centered around lesser known histories of the New Left. Starting with the event series and publication AREA Chicago: 68/08 The Inheritance of Politics and the Politics of Inheritance, I began steeping myself in this period. Developed in residency at the Jane Addams Hull House Museum, this project attempted to critical grapple with the legacy of the 1960s and its influence on the present. 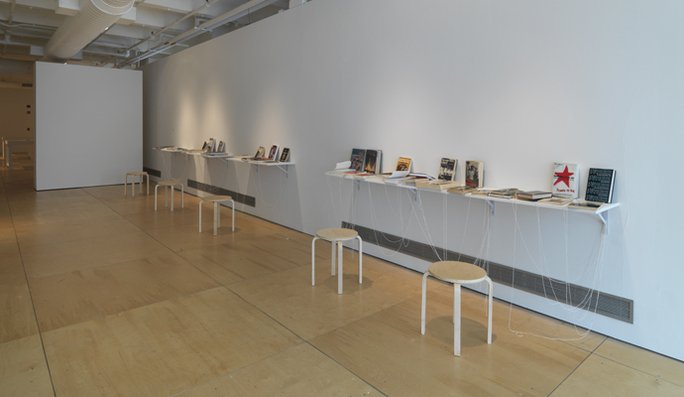 This also led to the accumulation of an extensive book and zine collection on this time period, featured in the 2009 exhibition Paper Trail curated by Nancy Zastudil and Julia Hamilton at the University of Illinois at Chicago’s Gallery 400. Additionally, I have written several book reviews on this history including: Revolution as an Eternal Dream by Mary Patten; Hillbilly Nationalists, Urban Race Rebels, and Black Power by James Tracy and Amy Sonnie; Waiting ‘Til the Midnight Hour by Peniel E. Joseph; and Signs of Change by Josh MacPhee and Dara Greenwald. I am currently developing a new exhibition and publication project based on the history of the Young Patriots Organization in Chicago. See that project at Organize Your Own. Visions for Chicago was a public art project taking place in front yards, empty lots and public spaces throughout Chicago, Illinois during a historic mayoral and city council election season in early 2011. The question, “What is your vision for Chicago?” is important at this time because, for the first time in 20 years, the city’s balance of power is shifting. Both Mayor Daley and the city council he controlled are retiring. As such, the political culture of corruption, defeat and disengagement they encouraged can be transformed. But change doesn’t happen in the small window of time afforded by elections; it happens over long periods of time, as people acting collectively implement their strategic visions. Through macro and micro level intent, we can transform how we think, behave and relate to our each other and this city. From November 2nd of 2010 until April 1st of 2011, blank signs were distributed to over 100 Chicagoans who are trying to make the city more livable in a myriad of ways. Signs were also distributed to students at Orr High School in West Humboldt Park and the project organizer, Daniel Tucker, placed signs in public spaces throughout the city. The signs and the sign makers were photographed and their work is presented here so that we can read their visions in relationship to other sign makers and our own visions. (See project website here). Press Coverage: Read more about the project in the interviews/profiles on Art21 by Abby Satinsky from Bad at Sports, Organizing Upgrade with Sushma Sheth, in Timeout Chicago with Lauren Weinberg, and the Chicago Reader with Bert Stabler. This project has been organized by Daniel Tucker. Featuring photography by Lauren Cumbia and Hillary Anne Strack. Produced with support from Lantern Projects & The Graham Foundation for Advanced Studies in the Fine Arts. The catalog of this project was published by Green Lantern Press.